Our universe is on the verge of a catastrophic collision. Shadowy invaders from other worlds have begun to slip into the dark places in ours. The result? Night terrors, disappearances, deaths, and worse. Most people try to hide their heads in the sand, but members of the group known as Vigilance stand between our world and the darkness outside. 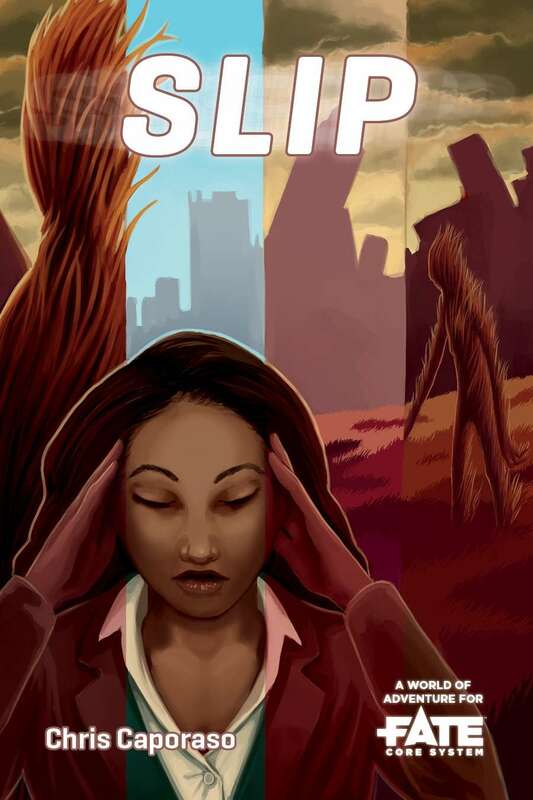 In Slip by Chris Caporaso, play a Vigilance member afflicted with strange powers linked to the convergence of worlds, or even a determined mundane. Knowledge is your only weapon. Arm yourselves; stop the incursion, and try not to Slip.